God Betrayed explains: (1) the biblical principles concerning government, church, and separation of church and state which one needs to know in order to understand the First Amendment and why it was adopted; (2) the history of the theological warfare in the colonies that eventually resulted in the adoption of the First Amendment; (3) how and why, soon after the ratification of the Constitution and the First Amendment, many churches subjected themselves to the state; (4) how the Supreme Court has used the First Amendment religion clause to remove God from practically all civil government affairs; (5) how civil government entices many churches to abandon their Supernatural and First Amendment freedoms; and (6) how churches in America can operate totally under God and free from any control by civil government. After graduating from college in 1970 and serving as an army officer in the Viet Nam conflict, Jerald Finney worked for the railroad and then started and operated a photography studio in Fort Worth, Texas. He was saved in 1982. God called him to enter the legal profession. He entered the University of Texas School of Law in 1990, and was licensed to practice law in 1993. Since that time, the Lord has guided his career. 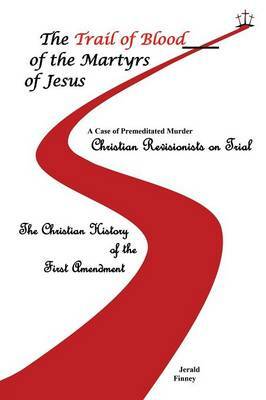 In 2005, he became lead counsel for the Biblical Law Center. 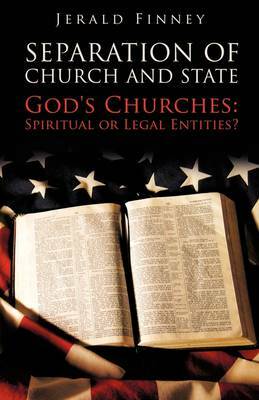 This book is the result of his in depth studies of the issue of separation of church and state, the main issue which is addressed by the Biblical Law Center. Buy God Betrayed by Jerald Finney from Australia's Online Independent Bookstore, Boomerang Books.